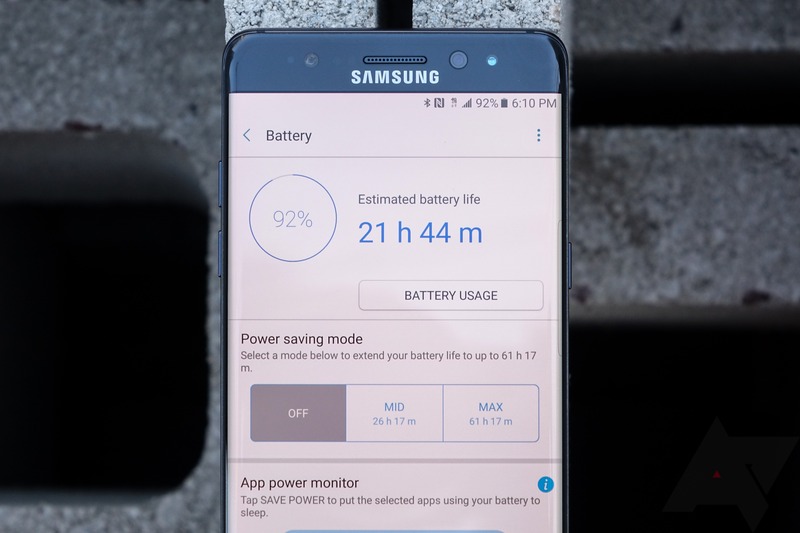 T-Mobile is planning to release an over-the-air update to T-Mobile-branded Galaxy Note7 devices tomorrow that will limit their maximum battery capacity to 60%. The OTA will be released beginning at 12:01AM (time zone unclear) tomorrow, November 5th. It is unclear if T-Mobile or Samsung are utilizing any features to "force" the OTA to install without explicit user authorization, but the rollout at midnight when most owners would be asleep and their phones charging would be about the best time to try something like that. An internal memo, below, details just how the update will work. If it's not forced, owners could just ignore the OTA and continue using their devices as normal. Once installed, though, the update will limit the Note7's maximum battery capacity to 60%. It's not clear if, as was the case on Korean models given this update, there will be a toggle in the battery settings area to increase that to 80%. Either way, if you have a T-Mobile Note7, this update is coming to you, and it's T-Mobile and Samsung's way of saying return your damn phone. Every time the device is unlocked, is plugged in to charge, and powered on, a pop-up notification will be displayed letting you know your phone has been recalled and that it could, like, burn you and stuff. We do not know at this time if Samsung and other US operators will be rolling out this update, but if T-Mobile is doing it, I'd have to bet at least some of them will follow suit. This comes shortly after news that the entire country of New Zealand has now blacklisted the Note7 from all of its cellular networks.